Owner Genaro Arriaga has 20 years of extensive Cast Stone and Construction experience He is fluent in both English and Spanish enabling communication to flow easilyin all aspects of your project from the beginning to the end. Renaissance Cast Stone has manufactured and installed custom cast stone fire-place surrounds, entries, columns, balustrades, window and door surrounds, fountains, pool coping, signs, address blocks and keystones. They also manufacture and install plaster fireplace surrounds, columns, crown moldings and ceiling medallions. Properly selected, manufactured and installed Cast Stone will result in an architectural project of enduring beauty to be marveled for decades. Premium Service: We are honored to be invited to be a small part of our clients dream and helping bring it to life. We do not look at it as a job but a passion. Our reward comes from our clients gratification. Guaranteeing custom design and manufacturing, delivery and installation, and cost-effective solutions, our mission is to meet the needs, schedules and satisfaction of our clients. We believe we must spend time with our clients and listen to their ideas and concerns. We believe we have to take those ideas and bring into reality. Bill’s Custom Concrete is based in Oklahoma City, Oklahoma and has been providing the highest quality concrete solutions since 1976. Our mission is simple, to provide the highest quality concrete and drainage services to our customers. Our attention to detail belies our commitment to our customers. Our business was established in 1976. We are Fully Insured, Licensed and Bonded. We view each customer as a unique partner, with individualized needs and tastes. Our primary goals are to listen to your needs and to fulfill them to your satisfaction. We urge you to ask anyone who has used our services – and please, if we have met your expectations – feel free to tell a friend about us! We look forward to serving you. Our Philosophy After almost four decades of service, we believe the following: Because of Oklahoma’s intense clay ground movement, freeze-thaw winter cycles, droughts, rains and floods, concrete and drainage solutions should be done only one way, and that’s the “right way”. After almost 4 decades of work, study, and research, and thousands and thousands of jobs all over the metro Oklahoma City area, we know how to do the work the “right way”. Our work speaks for itself!!! Please call us today at (405)755-3975 for your free consultation. We look forward to helping you with all of your concrete and yard drainage needs. We are a small family run business with over 15 years of experience in the construction industry. We take pride in our work, trying to do the best job possible to please our customers. We treat people like we like being treated. We have a tremendous amount of repeat customers who were satisfied many times over in our years of service to them. We believe that the cost of a job is only relevant to the quality of the workmanship and without quality there is no such thing as a good price. 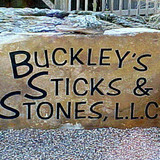 Our family has been in the business of providing Oklahoma with beautiful, functional rock, stone, and gravel for almost 15 years. We serve our diverse business community with residential and commercial projects that utilize our expertise and experience in this field. We also have a variety of decorative garden products that will beautify and enhance your home or garden and help create a natural setting that focuses on the gifts of nature. We hope our website can be used as a convenient tool for the Building Community, the Landscaping Community and for the Public. Whether it be for your Dream Home, landscape project or something as small as one little stone, we promise to make your experience a pleasure. To the builder, we hope that our website can assist you in the field to make the stone choices for your projects. To the Landscape Community, we hope our site can assist you in showing your clients what hardscapes can do for their property. And to the Public, we hope this site can be inspirational in planning your next DIY project. We are pleased to assist or provide any additional information to help you. Let us know if we can help with samples or go with you to see stone you want to match at a particular location. Please know that the selections you see on our website are just a fraction of what we have to offer. If we do not have it on the yard, we will make every effort to find it for you. Whether it be one stone or several tons, YOU are important to us and we're here to help. Ask us to help with selecting the perfect exterior stone for your home or landscaping ideas for your yard. Let us guide you through the many available options from Rock Gallery. Accent your garden with a stone planter or an engraved plaque with your favorite words. As a business, you want your facility to express your unique view with artistic and functional stonework. We will work with your architect or we will be glad to make suggestions to help you realize your vision or help you redesign an existing building with an eye on cost and the implementation of environmentally sound building materials. Bomanite of Oklahoma has maintained a reputation for success in large-scale and specialized architectural concrete throughout central and western Oklahoma since 1991. 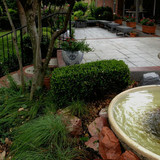 Located in Oklahoma City, Bomanite of Oklahoma has enjoyed building relationships with architects, owners, builders and city planners on many prominent local landmarks such as the Oklahoma City Zoo Veterinary Hospital, Boeing Office & Lab Building, GE Oil & Gas Technology Center, Film Row District, and Moore Central Park. As construction craftsmen, we work collaboratively with designers and clients to define project challenges and determine the very best possible concrete solution. Using a combination of Bomanite Imprinted Concrete, Bomanite Patène Artectura Coloration Systems, Bomanite Pervious Grasscrete, and Bomanite Exposed Aggregate Systems, we can accommodate a wide range of finishes, color-packages, and surface textures. We also take special pride in truly understanding Oklahoma’s local heritage and context and helping architects specify products that are well-suited to both our climate and culture. During construction, our dedicated construction professionals rigorously follow the Bomanite protocols, always taking extra care in preparing the site and setting the forms for clean, consistent pours and durable, long-lasting finishes. Clients on both the commercial and residential side are welcome to visit our in-house samples showroom, where they can see and touch a wide range of products and actually take small samples to compare with their existing materials and colors. Bomanite of Oklahoma is distinguished by our detailed technical knowledge of decorative concrete and a relentless commitment to quality. Providing High End Design with the BEST products to create superior Decorative Concrete Services than the competition. Supplier of natural building stone with delivery throughout the state of Oklahoma for both residential and commercial construction. 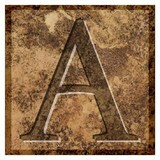 See our web site Richburgstone.com for our complete selection. We offer a variety of services to maintain your parking lot and building exterior. We also offer "jack of all trade" services. Our first-class Parking Lot Striping, Sealcoating, and Pressure Washing services are available throughout Oklahoma, including the following areas: Ardmore, Chickasha, Choctaw, Clinton, Duncan, Edmond, El Reno, Guthrie, Hinton, Jones, Lawton, McLoud, Moore, Mustang, Newcastle, Noble, Norman, Piedmont, Purcell, Shawnee, Stillwater, Tuttle, Warr Acres, and Yukon. Decorative Rock and Stone, Inc. (DRS) was founded in 1976 by Ali and Donna Ghazanfari. DRS quickly established itself as one of the premier Oklahoma City retail locations where homeowners could purchase a variety of manufactured and natural landscaping stone, as well as have these products professionally installed by DRS. In 1993 the DRS family expanded their business venture by opening a second location in Edmond, Oklahoma, which boasts a large variety of natural stone, granite and marble from several regions in the United States and from India, China, Mexico and Thailand as well. Today, DRS is one of the largest suppliers of manufactured stone, including concrete pavers and aggregate stepping stones, in Oklahoma. As a family-owned and operated company, DRS prides itself in its well-established track record within Oklahoma and always strives to provide excellent customer service, including complimentary installation estimates, to its customers. After 31 years in business, DRS continues to grow and assert itself as the premier retail supply store of landscaping materials, natural and manufactured stone, as well as specialized products hand-tailored to each customer's preferences. From installing new exterior columns to repairing your chimney, masonry contractors can help you add both visual appeal and value to your property. They’ll know what kind of installation makes the most sense for your Oklahoma City, OK climate and regional style. Looking for something that will develop a patina with time? Or would you rather have your home feel brand new for years to come? Choosing the right kind of stone involves thinking about the future, too. Experienced brick suppliers and stone suppliers can help you find the material that will work for your home now and for years to come. These professionals aren’t limited to exterior work either. Whether you want a split-stone granite wall in the kitchen or need help installing traditional brick masonry on your fireplace facade, you’ll want a professional to get it right. If you’re already working with an architect or designer, he or she may be able to suggest a good Oklahoma City, OK subcontractor to help out. Here are some related professionals and vendors to complement the work of stone, pavers & concrete: Landscape Architects & Landscape Designers, Architects & Building Designers, Garden & Landscape Supplies, Driveways & Paving, Siding & Exteriors. Find stone, paver and concrete professionals on Houzz. Search the Houzz Professionals section for Oklahoma City, OK stone, paver and concrete professionals. Browse photos and read reviews, and contact a pro if you like their work.